Arve Gravdal at Niri indoor salmon in the the hangar at Machrihanish. Photo: Niri. 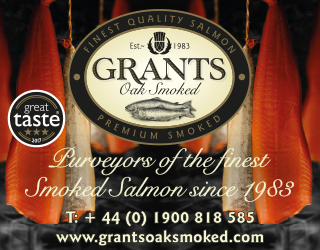 Niri’s indoor site was meant create 40,000 tonnes of salmon. It had a historic site, big intentions, and a vision to become a “leading producer of high-quality seafood on land at a very competitive cost” but according to the site proff.no the Norwegian aquaculture tech firm, Niri has reported a loss of EUR 2.6 million since it started in 2006. In 2017 alone the company lost EUR 473 thousand. 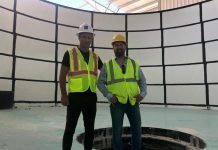 In 2015 Niri told the world that it had proceeded to establish the world’s largest tank for salmon production under at Machrihanish Airbase near Campbelltown in Scotland. The airbase has been the centre of global affairs (and a few conspiracy theories) since it was constructed in its early form at the end of the First World War. From 1939 to 1945 it was one of the top three busiest stations in the UK, but it was during the Cold War that it’s strategic importance came into play as a US/NATO bulwark ie a parking space for a nuclear bomber, in the event of war with the Soviet Union. 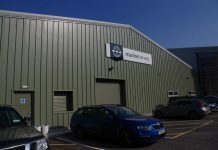 With no apparent military future for the station, in 2012 the site was sold off as a business park. 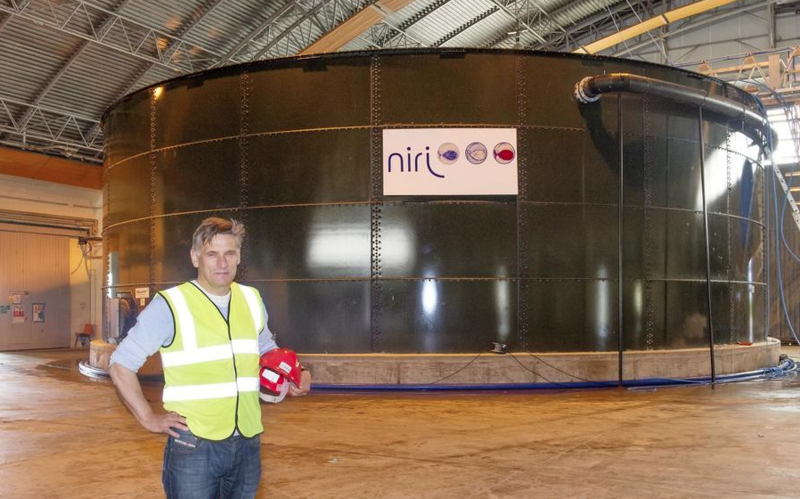 When Niri came to the site in 2015 spearheaded by it’s owner Arve Gravdal, local press were wooed by his goal of developing a new way to cultivate environmentally friendly fish, using tanks on land, rather than being held in cages in the sea. Niri’s aims to create 40,000 tonnes of salmon at the site were nothing short revolutionary. Talking to the BBC Radio 4’s flagship environmental episode of “Costing The Earth”, Mr Gravdal talked about intensive production done in a sustainable way, saying that “it takes less than half a percent of all arable land in the UK to produce all seafood consumed in the world” adding that the knock-on effect of his technology will eventually spread across the industry. MPs were also impressed. South Scotland MSP, Chic Brodie, who claimed he had helped bring Niri to Scotland said: “This is a great project. It’s good for the environment and will also be very good for the local community with new jobs. “I introduced Arve Gravdal to Alex Salmond. His company were looking at sites in Scotland and Ireland and I’m delighted they’ve chosen a site here. “I know Argyll and Bute MSP Mike Russell is also extremely pleased with the plans and Highlands and Islands Enterprise helped seal the deal. 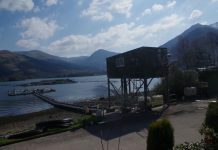 In 2017 according to local newspaper CampbelTown Courier detergent got into the water supply of the recirculation system during the repair of the main water inlet, which had broken. The company was growing 26,000 fish in a large tank in the hangar, deciding to take the fish out but by then the damage was already done. 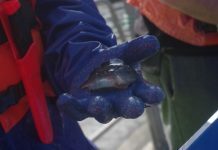 In February 2018, the company’s shareholders decided to offer the facility for sale, offering an “exciting opportunity” in on-shore fish production.